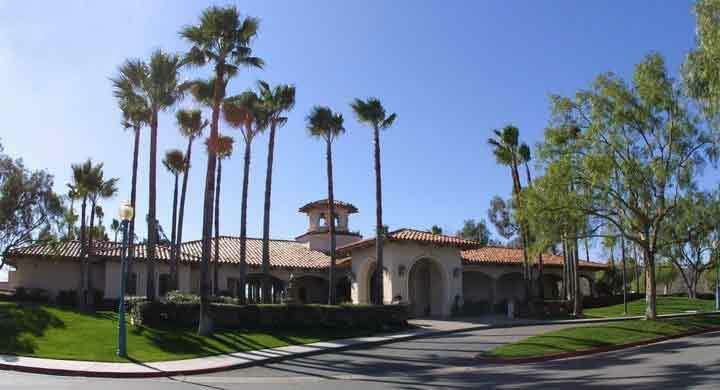 This very busy Southern California wedding officiant is very impressed with Tijeras Creek Country Club. Tijeras Creek Golf Club takes special pride in creating celebrations that become treasured memories. 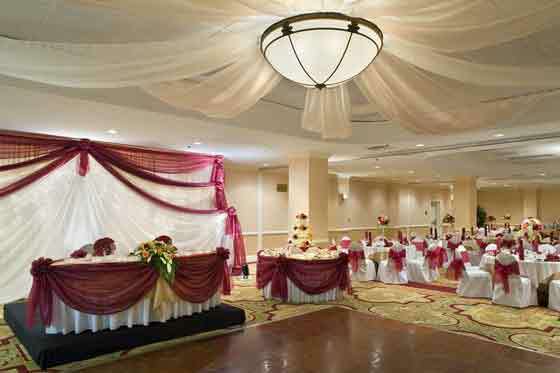 They offer complete wedding and reception packages. They go out of their way to assist you in designing a truly personal experience. The Spanish motif, romantic fountain terrace, and sweeping panoramic views of the golf course make Tijeras Creek the best-kept secret in Orange County. The facility at Tijeras Creek County Club accommodates groups up to 120 with a variety of sit down & buffet packages to choose from. Their special events coordinator can help in the planning of your bridal shower, rehearsal dinner, wedding ceremony and reception or farewell champagne brunch. The Spanish mission-style clubhouse is surrounded by large stone columns, hanging carriage lanterns, and lush landscaping. The Garden Terrace, just off the dining room, offers panoramic views of the golf course and ceremony site. The three-tiered stone fountain dominates the Atrium Court, where cocktail hours are held. The Main dining room is simple, yet sophisticated, including features such as vaulted beamed ceilings, graceful chandeliers and soft neutral shades of tan. If you are thinking of having your wedding ceremony or reception at Tijeras Creek Country Club or anywhere in Los Angeles County or Orange County California then consider having this wedding minister, the Officiant Guy, as your wedding officiant.